There’s wedding photography that captures all the key moments of the big day. And then there’s wedding photography that brings the day to life. Rob Garland Photographers fall squarely in the latter camp. His shots have been featured in The New York Times, The Washington Post, Southern Living, and Bride and Bloom, among other publications. 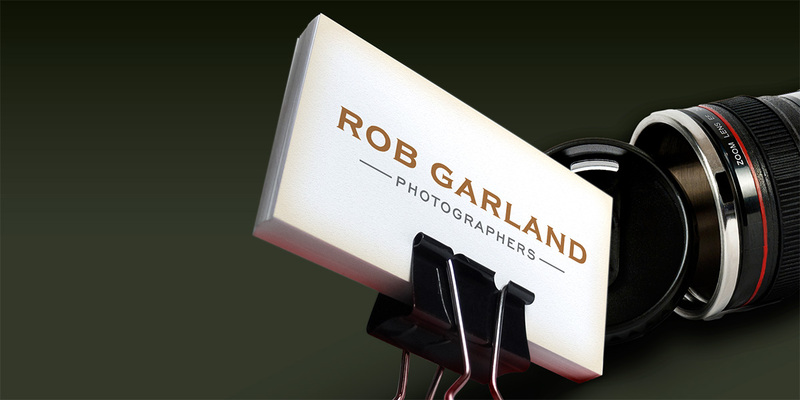 His logo is simple, elegant, and understated to provide the perfect counterpoint to his vibrant images.